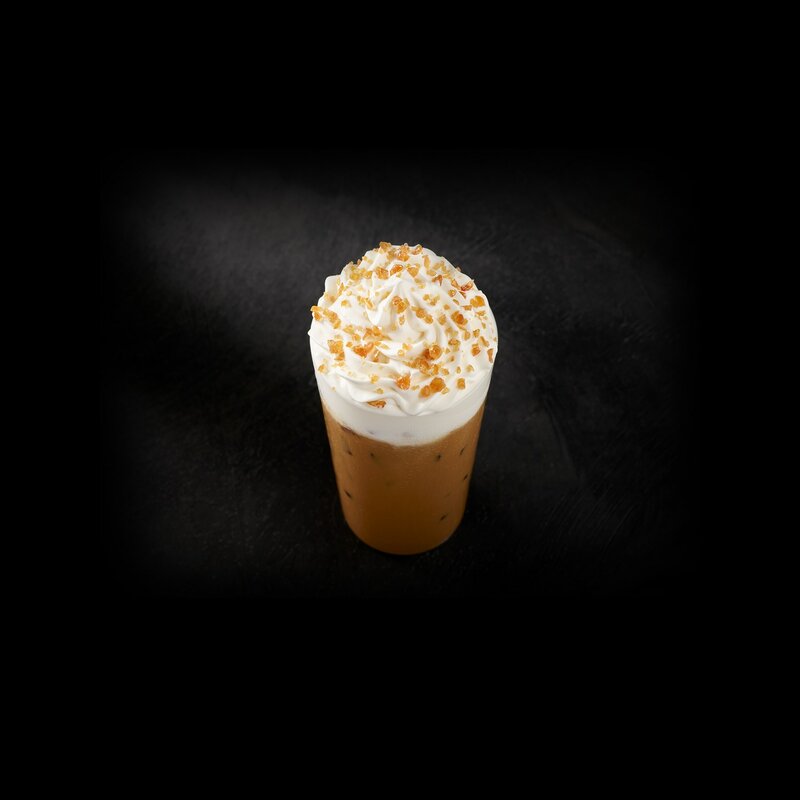 Seriously smooth, subtly sweet Starbucks® Blonde Espresso mixes with milk, ice and rich caramel brulée sauce, then topped with whipped cream and our own crunchy caramel brulée topping. A drink for those who like to drink their dessert. Ice, Milk, Caramel Brulee Sauce [Corn Syrup, Fructose, Water, Skim Milk Powder, Natural Flavors, Salt, Baking Soda], Brewed Espresso, Whipped Cream [Cream (Cream, Mono And Diglycerides, Carageenan), Vanilla Syrup (Sugar, Water, Natural Flavors, Potassium Sorbate, Citric Acid)], Caramel Brulee Topping [Sugar, Corn Syrup, Natural Flavor, Fruit And Vegetable Colors (Apple, Purple Carrot, Hibiscus)].